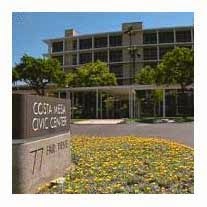 The Costa Mesa City Council will meet Tuesday, March 17, 2015 at its regularly-scheduled meeting beginning at 5:45 in City Council Chambers - preceded by a short Closed Session in Conference Room 5A. The agenda for the meeting may be read HERE. There's a lot of interesting stuff happening at this meeting, but I'll begin with a little summary of the Consent Calendar, and, more specifically, Item #3, Warrant 2532, HERE. 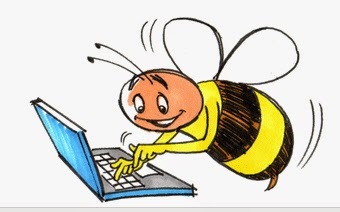 I will list some of the items we have already spend money on - things that catch my eye or are otherwise of interest. Liebert Cassidy Whitmore - $11,738.81 - Legal, various Negot. etc. Orange County Conservation Corps - $2,016.00 - Tumbleweed Removal, etc. Enterprise Counsel Group - $1,259.15 - Legal, Succ. Agncy, Nov & Dec. So, on THIS Warrant we paid one outfit more than $4,400 for an Interim Buyer; more than $190,000 for legal services; more than $25,000 for IT consulting and more than $60,000 to run the jail. Thought you should know. Also on the Consent Calendar - Item #13 of 14, HERE, is the appointment of City Negotiators for the Meet and Confer process with the Costa Mesa City Employees Association (CMCEA) for the process that begins in June. The staff recommends that Assistant CEO Tamara Letourneau and Lawyer Laura Kalty be appointed. It will be interesting to see just how much more blood they can squeeze from the turnip - the contract the CMCEA approved took them back to the dark ages. Just FYI. Public Hearing #1, HERE, is the second public hearing on the side letter with the Costa Mesa Police Management Association (CMPMA). You will recall at the first reading two weeks ago Gary Monahan violated the Brown Act by letting the cat out of the bag regarding the CMPOA negotiations, which caused a shouting match between Mayor Pro Tem Jim Righeimer and Councilwoman Katrina Foley and a heated discussion (kindest way to put it) between Foley and contract City Attorney Tom Duarte during a hastily-called break. I suspect this will go smoothly this time. As a sidebar, in the wake of Monahan's gaffe, the CMPOA has released details of the negotiations of their contract. Public Hearing #2, HERE, is the appeal of the Planning Commission approval of the application by Ganahl Lumber to move their operations to a site adjacent to their current store on Bristol Street. 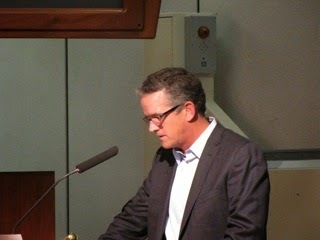 The appellants are Joseph E. Miller (shown here) and Alison Miller and their complaint is listed in the staff report. This presentation took a couple hours before the Planning Commission. I have NO idea how long this appeal take, but it could be even longer! Ugh! 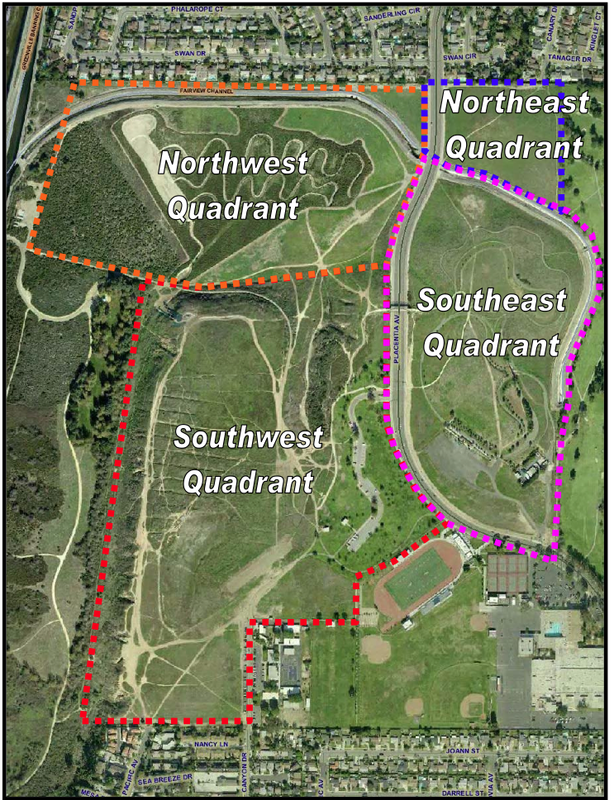 New Business #1, HERE, is the Professional Services Agreement with RJM Design Group for the update of the Open Space Master Plan of Parks and Recreation. It is of interest that this item also includes a request from staff for direction from the City Council as to the activities of the Fairview Park Citizens Advisory Committee, which is scheduled to hear the final items on their task list on April 1st and make recommendations to the Parks and Recreation Commission shortly thereafter. The way I read the staff report, it looks like they want to put the committee on hiatus until this project is completed. That makes NO sense to me. This group was tasked more than 20 months ago to do what they've been doing... assessing the existing uses of Fairview Park in a calm, methodical manner and have almost completed that assignment. There was NO requirement for a community-wide survey - which will be included with the consultants task - so the two, while related, are not intertwined. The FPCAC should be permitted to complete it's task, write it's recommendations to the Parks and Recreation Commission, who can then choose to do something with it, or wait until the consultant's task is finished, then blend the results. The final item on the agenda, New Business #2, HERE, is the request for authorization for the construction of a community room and outdoor meeting space and remodel of the employee lounge in City Hall. This project, which asks for over $1 million to complete ( the $992,000 ratchet's up to $1.2 million) would convert the old almost 1700 square foot print shop adjacent to Conference Room 1A into a community room, complete with full audio-visual and broadcast capabilities. Right now 1A can record meetings, but cannot broadcast from there. It would also enhance the existing "lounge" - that cramped, dated break room nearby. It also includes plans for an outdoor meeting area - a patio where grass now exists - with seating for meetings and/or lunch spaces for employees. I'm told that the new "community room" will not be divisible, like rooms at the Neighborhood Community Center. That's too bad, since that feature makes the NCC much more usable for smaller groups. With 1675 square feet to work with, having flexibility in the configuration of this new facility would make it much more usable - particularly since plans for the NCC/Library project will shut down that facility for months - probably a year - during which groups will be scrambling for meeting space. 3 MILLION BUCKS, GIVE OR TAKE! When the dust settles, so to speak, the three projects PLUS the previously-approved upgrade of the City Council Chambers and the current audio-visual/broadcast infrastructure (for $1.6 million) would come to right at $3 million! That's OK, though... all these improvements are necessary and long, long, long overdue. Our award-winning team of Dane Bora and Brad Long have been pulling rabbits out of the hat for far too long with the crappy infrastructure. In my view, this project should be approved. They plan to fund the three projects with 2014/2015 salary savings of $1,202,000 - which very likely comes directly from the Police Department budgeted numbers, since we've been unable to fill slots as fast as the current budget anticipated. And, this project should be done in two stages. The first - this project, which results in a new meeting room and enhanced Conference Room 1A plus the new "lounge" and outside space, can be accomplished without disturbing meetings and other activities in the council chambers. Once it is finished and operational, the large council chambers project can be tackled, with meetings shifted to the new meeting room temporarily instead of having to locate facilities elsewhere around town for City Council, Planning Commission and Parks and Recreation Commission meetings . The end of the meeting will include overflow public commenters and items pulled from the Consent Calendar... I'm thinking we're out of there before 11 p.m.